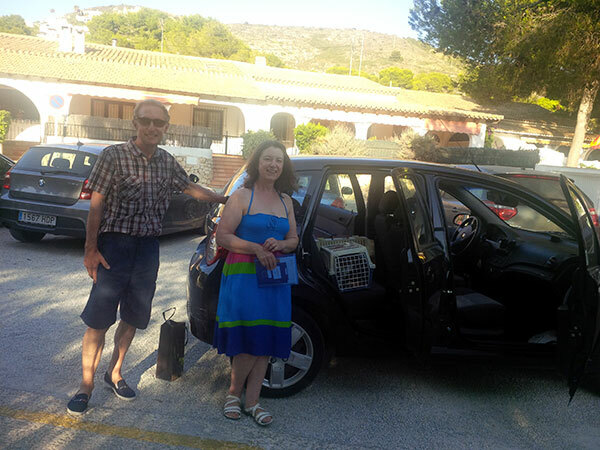 Yesterday couriers J and M delivered cats Nellie and Bonnie to Val and David in Spain. Their new location, El Portet de Moraira, is a very pretty place to be, and bustling with lots of people enjoying the sunshine and the beach. 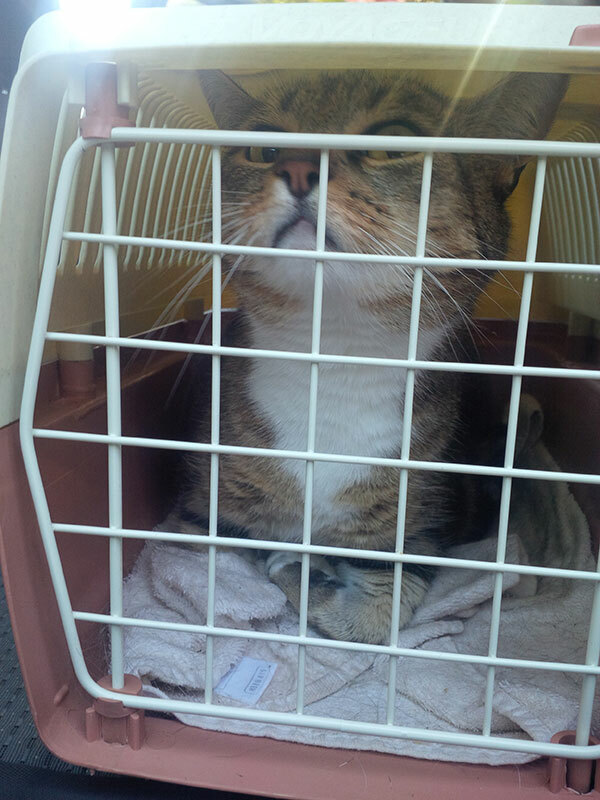 “Nellie and Bonnie are settling in well; Nellie (and Val) had a sleepless night while she explored and then meowed when she found herself alone! Both cats are eating and drinking well, and catching up with sleep. 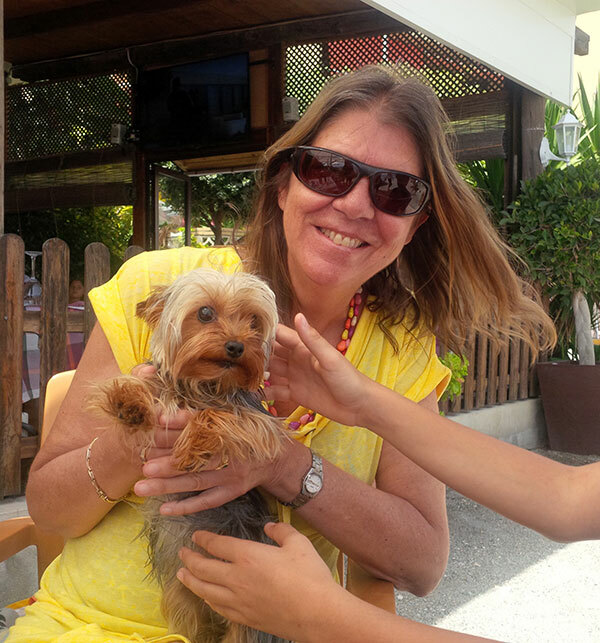 Then it was on to La Herradura on the Costa del Sol, where little Yorkie Lola got an ecstatic welcome from Johanna, who has been anxiously waiting for her. Once their holidays are over, the family will head north to Madrid where Johanna will be taking over the British school. 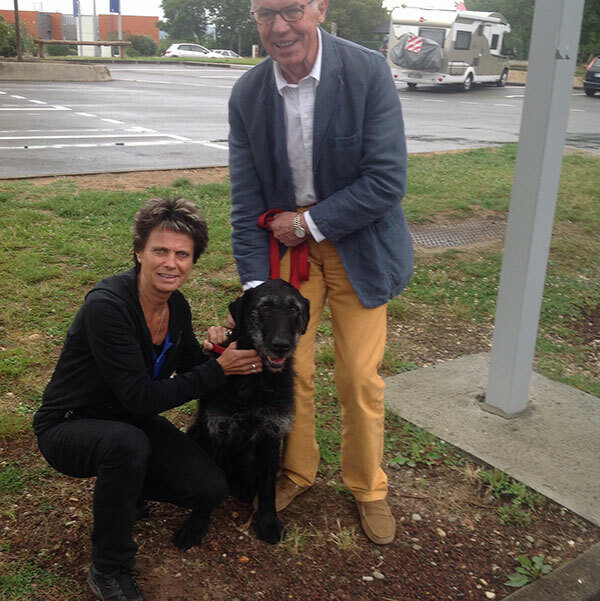 And just a few days ago, Bart was reunited with his owners near Agen in France. 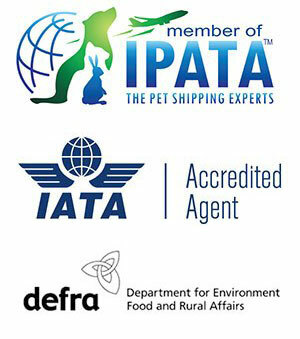 This character dog would have travelled at the same time as his owners, but his passport had gone out of date. Bart was cared for by his owner’s daughter until his passport was ready, then homeboarded briefly with couriers J and R — and pretty much wore them out with his ball games. When the time came to place his bed in his travel cage, Bart got there first, and a tug’o’war ensued until Bart decided to drag the bed into the cage himself — what a cooperative passenger! From what his ‘dad’ Joe tells us, Bart is a very special animal. He was pulled from a river at five weeks old, and Joe says he’s the best dog ever. 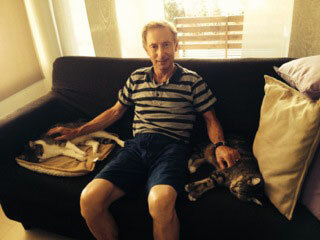 “The grand reunion took place as planned and Bart has made himself at home. He is a delight, a gentle giant, and our other dog, Darcy, has made him very welcome. Double trouble! 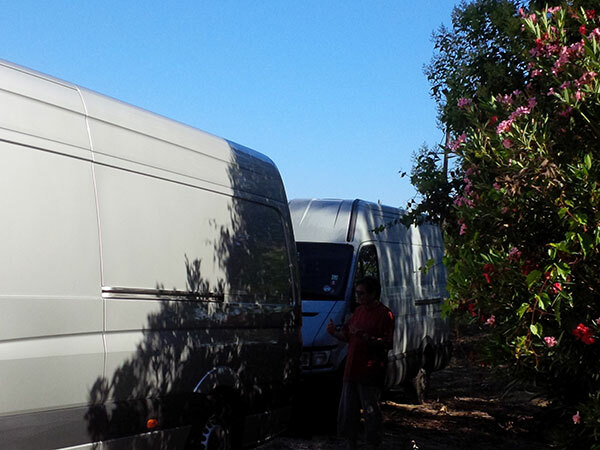 It was a rare treat to have two Animalcouriers vans and four of our couriers all in one place earlier in the week. We stayed the night with our blog/website design/editorial team in Narbonne, and a good time was had by all under a bright blue Mediterranean sky. ‎Hello from us all. You cant believe how happy we are to have lola with us. She has eaten twice and has had refreshing bath. Thankyou again. You are the best. We had such fun with Lola, it was a great pleasure to spend time with her! Good luck in Madrid. Aww I love that you all spent some time together! Lola is just gorgeous and Bart sounds like a lovely little character! Another brilliantly uplifting post, thanks for sharing! It was such a pleasure to have a get together! Sadly too few and far between. 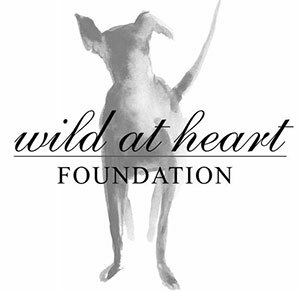 Bart and Lola are deeply loved hounds. Oh, we know how to catch up! The human bonding wasn’t bad either! Good for you all to meet up together and have a good time. I love the dog Bart. A very handsome fella. He is grateful to the humans for being rescued from the river,. The timing must have been perfect for the human and pup when he was pulled from a river. He sounds like a very smart dog. It was a lovely chance to catch up with a good part of the team. Bart was a very lucky pup to have that human in the right place at the right time. Oh my goodness, little Lola is sure cute and it seems, barely a handful. I’m also loving Barts eyebrows, HA, like an old grandpa.